The main focus and interest of the Continuum Ensemble’s weekend of concerts and talks at Kings Place under the banner of ‘Swept Away’ was the music of Ernst Toch (1889–1964). 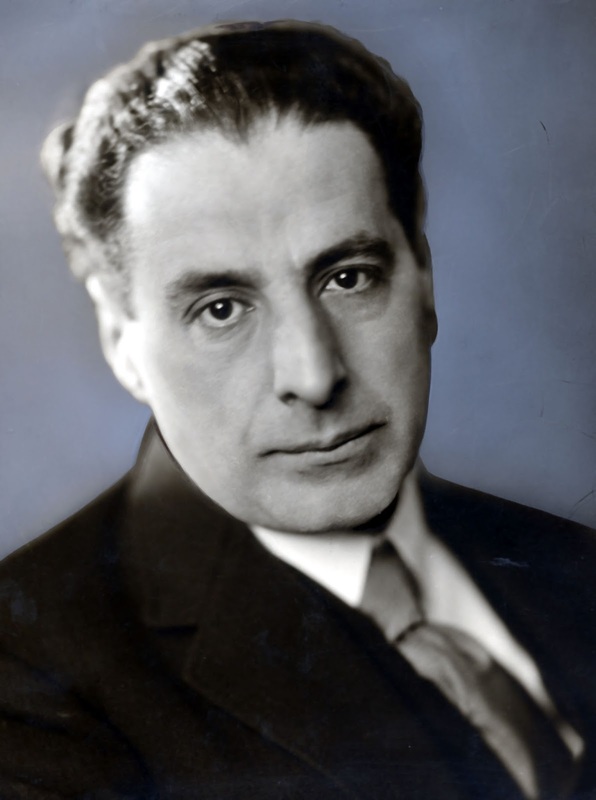 He was a key member of the Neue Sachlichkeit (New Objectivity) movement in inter-war Germany, alongside Hindemith and Weill, but his music and reputation, unlike those of his colleagues, didn’t survive his exile in the US to nearly the same extent. In his heyday, in the 1920s, his music was performed by the likes of Klemperer and Furtwängler; Emmanuel Feuermann played his Cello Concerto and Walter Gieseking gave more than 50 performances of his Piano Concerto. He wrote in all the main media, from chamber music to opera. But when the Nazis came to power in 1933, the Jewish composer suddenly found his music proscribed, and he fled to the US, where he was among the first to follow what would soon become a well-worn trail from Germany to Hollywood. There he became the go-to composer for chase scenes and horror films, though without achieving the film-music success of Korngold, Waxman or Steiner, and he only slowly returned to writing concert music late in life. A more personal exposition of his life as an exile can be read here in the words of his grandson Lawrence Weschler. But to return to his music of the Weimar Republic era in Germany, these concerts perhaps gave us the most exposure it has yet had in Britain and included more than half a dozen UK premieres. I have already mentioned his miniature opera Egon und Emilie in a previous post and I will discuss the performances of his sonatas for violin and for cello in a forthcoming review in The Strad. The select discography of Toch’s music, most notably on the German CPO label, has passed me by, so this was my first real encounter with it beyond the perennial Geographical Fugue (performed alongside his other ‘spoken music’ pieces by the exemplary BBC Singers). Was this, then, going to be a revelation of finding a key figure from the period the quality of whose music one cannot understand being so neglected – on a par with the rediscovery of Korngold, Schreker, Zemlinsky and others in recent decades? I’m afraid that, on the basis of the music performed here, the case remains open. There’s no denying that Toch sounds like no one else, but there’s also a saminess about much of his writing in the 1920s – ostinatos, relentless fury, parallel harmonies and so on – that was highlighted by Erik Levi’s illustration of the contrasting range of Erwin Schulhoff’s output over the same period in his talk on Weimar Republic music. The piano miniatures played with great energy by Douglas Finch exemplified this, with their love of extremes and often unforgiving forcefulness, exemplified by ‘Der Jongleur’ from his Three Burlesques of 1923, which, as Prof. Levi also illustrated in his talk, Toch transcribed for player piano to give it even more super-human forcefulness. Indeed, his music suffered a little by comparison with that of his colleagues that surrounded it in these concerts: Weill (a moving account of the Berliner Requiem by the BBC Singers), Krenek, Wolpe and Hindemith. The expansion into more chamber-orchestral forces brought welcome variety of colour in the Five Pieces of 1924, but the similarity of the individual movements, where short nuggets of motifs are rather worked to death in swirls of parallel harmonies, left me underwhelmed – at times it was rather atmospheric, but also somewhat one-dimensional. It didn’t help that the Continuum Ensemble, conducted by Philip Headlam, lacked the weight of strings to mitigate lapses of intonation and bring greater solidity to the meandering lines. But there was one particular revelation in Die Chinesische Flöte of 1922. Although this piece doesn’t seem to be able to make up its mind if it’s a chamber symphony or a song cycle, there’s more imagination, colour and expressive range here than found in the other music performed over the weekend of concerts. 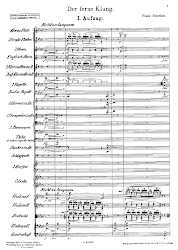 It alternates instrumental movements with three songs setting texts translated from the Chinese from the same collection upon which Mahler drew for Das Lied von der Erde. The music is framed by a rather effective percussive cortège accompanying a languid melody (not unlike the effect of Ravel’s Boléro) and in his vocal writing – effortlessly sung here by Sarah Tynan – Toch at last reveals a lyrical side that has been sorely missed elsewhere. In the song ‘The Rat’ one can hear why his music would later be sought for movie chase scenes, but it was the more reflective side of the work that had greatest impact, not least the beautiful flute playing from the Continuum’s Lisa Nelson, which played an important role in the performance.